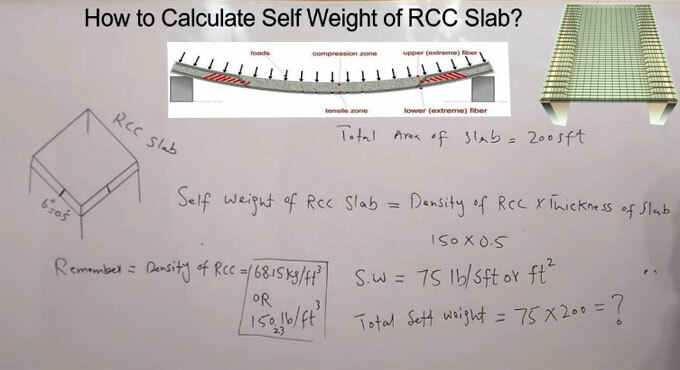 In this construction video tutorial, the renowned engineer Sami Ullah shows some simple processes to work out the self weight of RCC slab to make the RCC slab design process uncomplicated. Initially, it is required to compute the thickness of RCC slab. Suppose, the thickness is taken as 6 inches or 0.5 feet. If it is required to calculate the total weight of the slab, then area of the slab should be measured first.